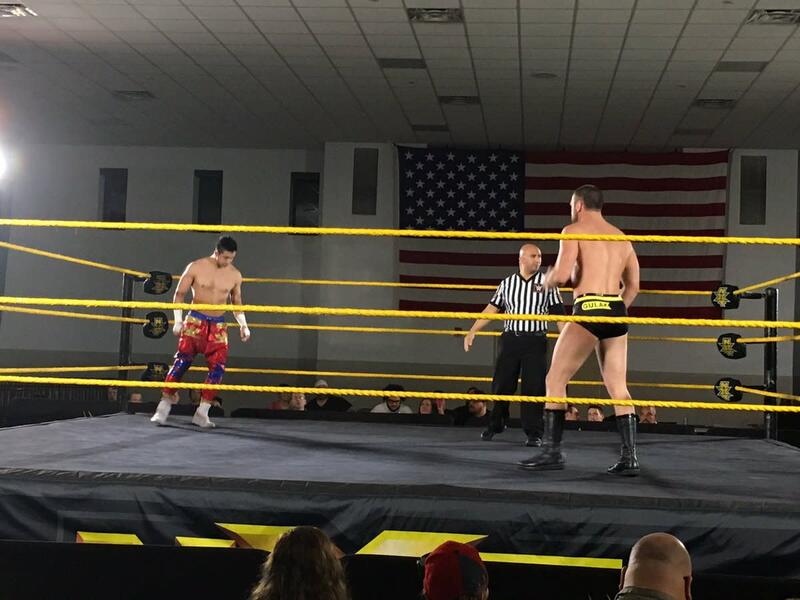 NXT was in Crystal River tonight with an estimated attendance of 200 people. - TJ Perkins defeated Drew Gulak after submitting him with the kneebar. - Cezar Bononi defeated Kishan Raftaar with a pumphandle slam. - Adrian Jaoude defeated Riddick Moss by submission with an armbar. - Dan Matha did an interview explaining what it's like to be an NXT superstar and a dominant big guy. The crowd was booing him heavily. Demitrius Bronson was making his NXT debut. He's a former Seattle Seahawks RB and a product of the Performance Center. AOP won fast with a double powerbomb. Tucker Knight and Otis Dozovic came out to make the save after the match. Moon stood tall at the end by winning with a Michinoku Driver. - Buddy Murphy defeated Steve Cutler after hitting a brainbuster. - Daria Berenato defeated Aliyah by submission with an armbar. - Rich Swann defeated Noam Dar by utilizing a backwards 450.